This story was co-published with Fortune. At a House hearing last year on post-traumatic stress disorder, a private organization showed up with an ambitious plan to help suffering veterans. The Cohen Veterans Network was opening a chain of free mental health clinics across the country, backed by $275 million from hedge fund billionaire Steve Cohen. But at that same moment, across the country, the Cohen Network was closing its clinic in Los Angeles less than a year after it opened. The Cohen Network’s leaders had alienated the staff there, former employees said, by telling them to prioritize healthier patients over homeless veterans. The shutdown was so hasty that former therapists said it left some patients in the lurch. Privatization has become the defining controversy at the VA under the Trump administration. Conservative billionaires such as the Koch brothers and Ken Langone want veterans to increasingly see private doctors, while traditional veterans organizations want to maintain the government-run health system. The Cohen Network has become a test case for both sides. It is either proof that the private sector can do the job better than the VA — or a template for diverting taxpayer dollars to unaccountable private groups. Steven Cohen is perhaps an unlikely person to find himself in the crossfire of this debate. He is best known as the billionaire hedge fund titan whose investment returns were the envy of Wall Street, until prosecutors busted his firm for insider trading. (Cohen, 62, was not personally charged; he declined to be interviewed for this article.) Since then, Cohen has launched a new hedge fund and opened 10 clinics serving veterans across the country. A thorough examination of the Cohen Network’s record — including internal documents, emails and dozens of interviews with current and former employees — reveals a different story from the one the Cohen Network tells about itself. The clinic at the University of Southern California was doomed by the Cohen Network’s mismanagement and insistence on a narrow focus that helped only a subset of veterans, former employees said. “The model we ended up believing would really serve veterans was different than the model the Cohen Network was proposing all clinics operate under,” said Marv Southard, who served as CEO of the Cohen clinic at USC and is now chair of USC’s doctor of social work program. The network’s original clinic, at New York University, got into a spat over who would own the patent rights from research that Cohen funded. And shortly after the hearing, Cohen mounted an aggressive lobbying campaign to get the government to subsidize the clinics. The Cohen Network and Cohen’s own spokesman insist they’re not trying to privatize the VA and their only goal is helping veterans. “No single private person in this country has ever donated more money to save veterans’ lives and treat their mental health needs than Steve Cohen has,” Cohen’s spokesman, Mark Herr, said. The organization blames others for the problems in Los Angeles, New York and Washington. The story of the Cohen Network illustrates what could lie in store for veterans as Trump pursues his campaign pledge to place their care in the hands of the private sector. The disappointment started as soon as the staff showed up. The clinic turned out to consist of a hallway shared with the dermatology department inside a USC facility. There were only three therapy rooms for six therapists; they were supposed to take turns and then walk to a different office several blocks away. The next problem was the software for the patients’ medical records. Many of these systems are clunky, but clinicians said this one was the worst they’d ever used. They would fill out a long form and click submit, only to find their session had timed out and they had to start over. Session notes mysteriously vanished. “It was completely substandard compared to what we would have expected from this organization,” said Kathryn Arnett, the clinic’s director. But a February 2017 internal review concluded otherwise: “There are ongoing clinical data errors in the system,” Cohen Network officials wrote. The Cohen Network wanted more patients and was displeased with low turnout: An internal review found that the LA clinic, in its first six months, saw just 116 clients, which cost the clinic $10,282 each. “The average cost per client is very concerning, as is the low client count,” two executives wrote. Some of the clinicians had seen an emphasis on cost and volume at public agencies or cash-strapped nonprofits, but they struggled to understand such scrimping from the well-funded Cohen Network. The Cohen Network’s focus on measurable outcomes influenced the care that the clinics would provide. Clinicians were supposed to use a set of six- to 15-week treatment programs that have been shown to help with PTSD, insomnia, depression and anxiety. Clinic staff were devastated. 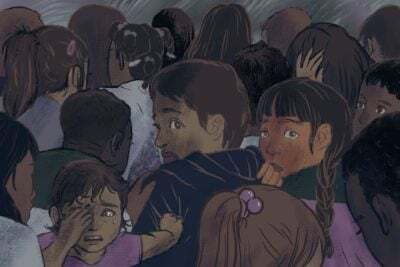 “All of us came here believing we were going to help the people who need us the most, and they said no,” said Arnett, the USC clinic’s director. “They weeded out the most compromised veterans.” This is exactly what the VA’s defenders have long warned would happen to veterans left to the private sector. Hassan countered that the clinic simply wasn’t equipped to treat people with chronic mental illness or who needed inpatient treatment for drug addictions. “Our network provides short-term outpatient psychotherapeutic care delivered through weekly or biweekly sessions,” he said. The Cohen Network, he added, is intended to fill in gaps in the existing system, not to replace it. In response to Cohen’s dissatisfaction, staff looked into moving the clinic to more affluent Pasadena, which would be more expensive and cater to a different kind of client. 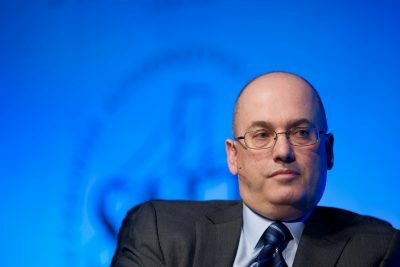 It looks more and more as if Steve Cohen's returns at the hedge fund SAC have been generated not only through his trading brilliance but also through a culture of cutting corners. So why do major institutional investors still have any money with him? In June 2017, Hassan emailed the staff to say the clinic was closing, with no explanation. The abrupt shutdown cut off some patients in the middle of treatment, according to three former clinicians and three other former employees. Clinicians said they had some patients who had just completed intake or opened up about a traumatic experience for the first time. The therapists had to tell them they couldn’t continue. For his part, Hassan insisted that no patient’s treatment was interrupted and that USC was supposed to tell the Cohen Network about any patients who needed their treatment to be extended. The therapists tried to find referrals for all the patients to continue treatment elsewhere, but there wasn’t always another provider available. The Cohen Network sent a list of resources, printed on expensive paper, but the therapists said it wasn’t helpful. “It looked like someone had Googled ‘mental health Los Angeles’ and picked the top three results,” a third former clinician said. Cohen got involved in veterans’ health for the most personal of reasons: His son Robert joined the Marines and deployed to Afghanistan in 2010. It was “obviously, as a parent, a very scary thing,” Cohen has said. “Now, he came back, he’s fine, but not every vet is.” For Cohen — whose interests until that point were limited to trading stocks, collecting art, spending time with his family and rooting for the New York Yankees — it was a life-changing experience, according to a person close to him. Cohen established his first veterans clinic at NYU in 2013. That was the same year his hedge fund, SAC, pleaded guilty to insider trading. Prosecutors circled Cohen for almost a decade, nabbing eight of his lieutenants (although some of those convictions were later overturned). In one case, a trader got a sneak peek at discouraging clinical trial results affecting two pharmaceutical companies. Cohen had $700 million riding on those stocks. The trader called Cohen, who then liquidated his position and bet $260 million that the stocks would fall. When the results of the clinical trial became public, the trade netted SAC about $276 million, the biggest profit from insider trading ever. Cohen got started at NYU when Ken Langone, the name donor of the university’s hospital system, connected him with Charlie Marmar, the chair of the psychiatry department. Marmar, who’d spent 21 years at the San Francisco VA, had an idea not only for a mental health clinic but for research on the biological signs of PTSD. Cohen and Marmar discussed the vision over poached eggs and coffee at Cohen’s Greenwich mansion, where Cohen dazzled Marmar with the Picassos on the walls and the Warhol in the bathroom, two of Marmar’s colleagues recalled. The mission, as one researcher involved in the project described it, was to find a “pregnancy test for PTSD”: a blood test or a brain scan that could be used to diagnose PTSD, rather than relying on self-reported symptoms. Better understanding the biology might also lead to more effective treatments. In Keane’s view, there were many more deserving research endeavors in need of funding. Still, a diagnostic test for PTSD, if one could be found, would have a clear market. Nearly a million veterans receive government checks based on a diagnosis of PTSD. So a functional test could decide how the VA distributes billions of dollars — and make a lot of money for whoever commercialized it. Cohen launched a second nonprofit organization, called Cohen Veterans Bioscience, to lead the research. Its CEO, a former pharmaceutical executive named Magali Haas, sent researchers contracts asking them to sign over intellectual property rights, according to three people who reviewed the agreements. That caused friction with NYU researchers and lawyers, who objected to what they viewed as the Cohen group’s revenue grab — or wanted the university to share in the possible windfall, according to a person present for conversations on this point. NYU declined to comment. In recent years, foundations have shown increasing interest in possible commercial applications of research they support. Major philanthropies, such as the Bill & Melinda Gates Foundation, the Andrew W. Mellon Foundation and the MacArthur Foundation sometimes retain a license to use inventions they’ve funded, much as the federal government does, while working to ensure that the discoveries benefit the public. Others, like the BrightFocus Foundation, have pushed further, seeking royalties from discoveries they fund. But it’s rare, experts say, for foundations to seek total control over intellectual property developed by the academics whose work they fund. Universities typically object because they consider themselves more qualified to use the IP to advance research and benefit the public. And since foundation grants typically don’t cover universities’ full costs including overhead, they don’t want to be in the position of subsidizing commercial research. “There were cases where industry was using this as a ploy to get a lower rate on research costs and get ownership of technology in a sweetheart deal,” said Wes Blakeslee, the retired director of the Johns Hopkins University Technology Transfer Office. The disagreement over intellectual property led Cohen to stop funding Marmar’s research, according to two people involved in the project. Haas disputed that, saying in an interview that NYU didn’t get more money because it mismanaged the original grant. She then followed up with an email, this time saying the study ended because NYU finished recruiting subjects. Haas said Cohen Veterans Bioscience shares intellectual property rights with collaborators, but they’re still hammering out the details. “The only thing we’re interested in is trying to move the science forward,” she said. 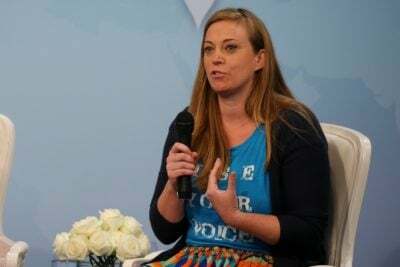 If the organization did have rights to an invention that it could license to a drug company to develop, she said, all the proceeds would fund future research. Cohen’s spokesman, Mark Herr, said Cohen won’t invest in anything that arises from Cohen Veterans Bioscience’s work. “We maintain a church and state separation between the two, and that will not change in the future,” he said in a statement. Cohen wasn’t present for those meetings, and his spokesman said he doesn’t support privatizing the VA or envision the Cohen Network as a model for doing so. From the beginning, the Cohen clinics were advertised as free to patients, but the plan was always to start seeking reimbursement for their treatment. By their fourth year in operation, clinics are supposed to supply 25 percent of their own funding from insurance reimbursements, local philanthropy and government grants, according to information posted on the Cohen Network’s website. That figure rises to 50 percent by year six. In some cases, billing insurers also requires charging copays from patients. Hassan said the clinics never turn away patients who can’t pay. He called collecting reimbursements a common-sense way to extend the reach of Cohen’s gift and make the clinics sustainable; like Haas, he said any revenues would be used to offset costs. Cohen also sought advice from a person who shaped President Trump’s position on the VA: Jeff Miller. As chairman of the House veterans committee, Miller had been a harsh critic of the VA and promoter of private alternatives. He was one of the first lawmakers to endorse Trump and became the candidate’s point man on veterans issues. After Miller retired from Congress in January 2017 and joined a big law firm, his first lobbying client was Steve Cohen. In September 2017, Cohen Veterans Bioscience flew researchers from around the country to a lavish summit in Washington, featuring a speech by Shulkin and a panel moderated by Miller. At a cocktail party at the National Portrait Gallery, Cohen lingered behind bouncers in a roped-off area, summoning people he wanted to talk to, an attendee recalls. A day after the summit, Cohen Veterans Bioscience held a briefing for congressional staff in the House veterans committee hearing room. Cohen Veterans Bioscience also joined a coalition with two pharmaceutical companies to lobby for access to VA datasets and biological samples. Cohen’s representatives repeatedly complained to government officials that his clinics couldn’t get reimbursements from the VA. In one meeting, the leader of a veterans organization corrected Miller, pointing out that the Cohen Network could, in fact, enroll in a program for buying private-sector care (a program Miller had actually helped create). But that would require each patient to obtain advance approval from the VA. Miller made clear that the Cohen Network wanted to see the veteran first, then send the VA the bill. Miller set out to change the law to let the clinics do exactly that. His team visited the office of every member of the House veterans committee and drafted a bill to let the VA pay for veterans who walk in to private mental health providers like the Cohen clinics. “Here is language to get you started,” they wrote in an email to congressional staff. The lobbyists recruited a freshman lawmaker from each party, both former Marines, to sponsor their bill and tried to rush it through the House on a voice vote in time for Veterans Day. But the bill raised objections from major veterans organizations. They generally oppose privatizing the VA because the health system remains popular with their members despite recent scandals. A few days later, the VA weighed in with more than a dozen concerns about the bill, including that it carved out a new private-care program conflicting with other laws on eligibility and funding. Miller called a meeting with the major veterans groups to brief them on the bill. The veterans groups agreed among themselves to present a united front. Meanwhile, they pressured the Democratic cosponsor to drop out and waved other lawmakers off the bill. Miller caught wind of the counterattack, but by the time the veterans organizations showed up at his office overlooking the Capitol in late October 2017, the bill was dead. Thwarted in Congress, Miller fared better with the Trump administration. He contacted senior VA officials in the hopes of forming a partnership with the Cohen Network. They signed an agreement in October 2017 that didn’t offer much other than to share data that was already publicly available. 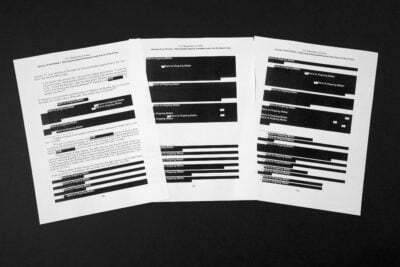 The VA has scores of similar agreements with other organizations. But soon after the agreement was in place, Cohen’s representatives raised the issue of getting reimbursements for the clinics. That made VA officials feel tricked, according to a former agency official. Veterans groups and some lawmakers were suspicious when they found out about the partnership. The Cohen Network “must be transparent about its organization and compliance with federal law,” the top Democrats on the House and Senate veterans committees wrote in a March 5 letter to Shulkin demanding more information. Nevertheless, the Cohen Network succeeded in getting approved to receive reimbursements from the VA. A Cohen Network official downplays the payments, saying they’ve amounted to $500 so far. Cohen is undeterred. The network just opened its 10th clinic and plans to have 25 by 2020. Cohen believes the network is succeeding, Herr said, and is considering expanding his support beyond the $275 million he’s already committed.